Here we are with a second editorial featuring a new face in the men’s underwear industry, model Nicholas Ostella and his collaboration with Adam R Photos. A few days ago we showed their debut in Men and Underwear, an editorial with underwear by Xtremen. In case you missed it, you can see it here. Nicholas is seen here posing in a classic thong by Clever Underwear called Polar. 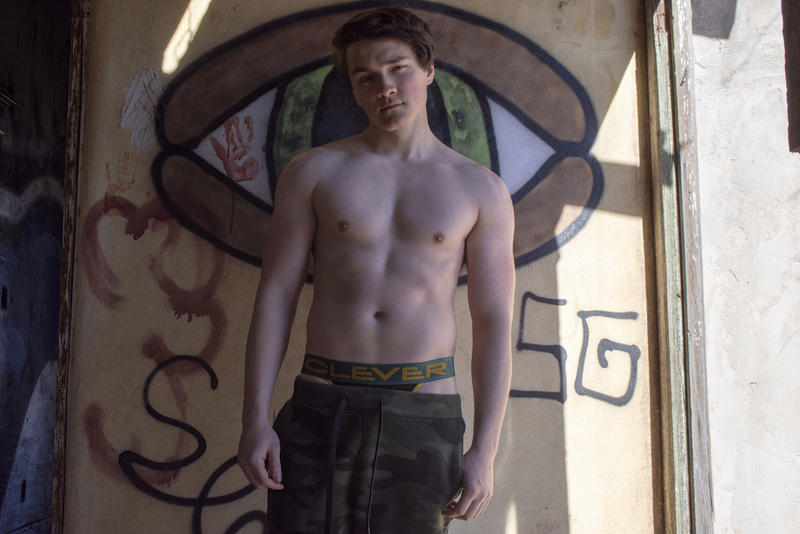 Nice work from Adam R who chose graffiti as a backdrop and the camo pants that go very well with this underwear.